I’m glad to announce that The Daily Bounce and WoT Record – International WoT Replay Website are now partners! 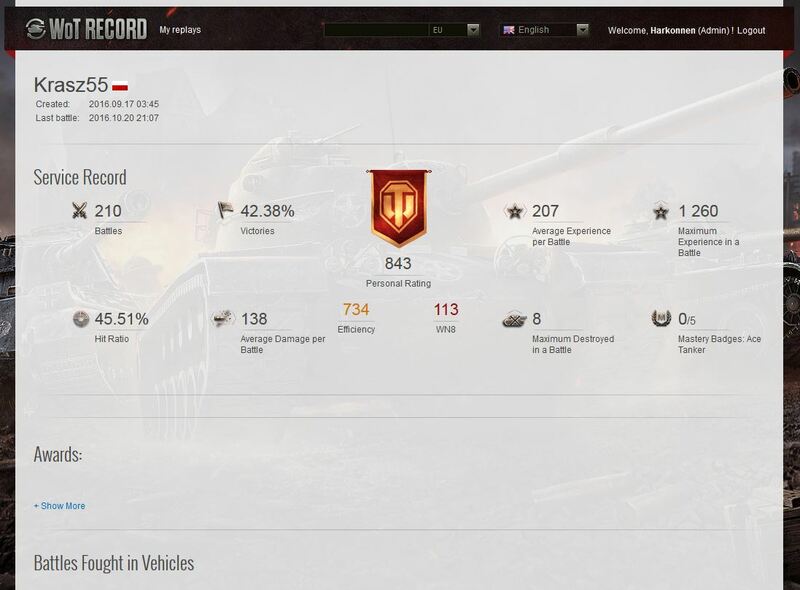 WoT Record is a website that allows you to login with your Wargaming ID and upload replays, so you can share them with others players. But that’s not all, once you upload the replay you can see in detail, including the WN8, everything for that particular battle. You can get other players to download the replay so they can see them and they can UpVote or DownVote the replays to let you know if it was actually an epic battle, or you were just on crack actually not that great. But it does end there, if you see a replay from another player, or even on your own replay, you can go to the Team Score tab and select a player and by clicking on his name you can will get all the details for that particular player. This allow you to get a lot of information in just one place, without the need to go around and look for players on different websites. And if you thought that is all, in the main page you will get a RSS Feed from my blog so you can keep up with the latest news. We hope this partnership will help players and we hope to bring you a few more perks in the future. 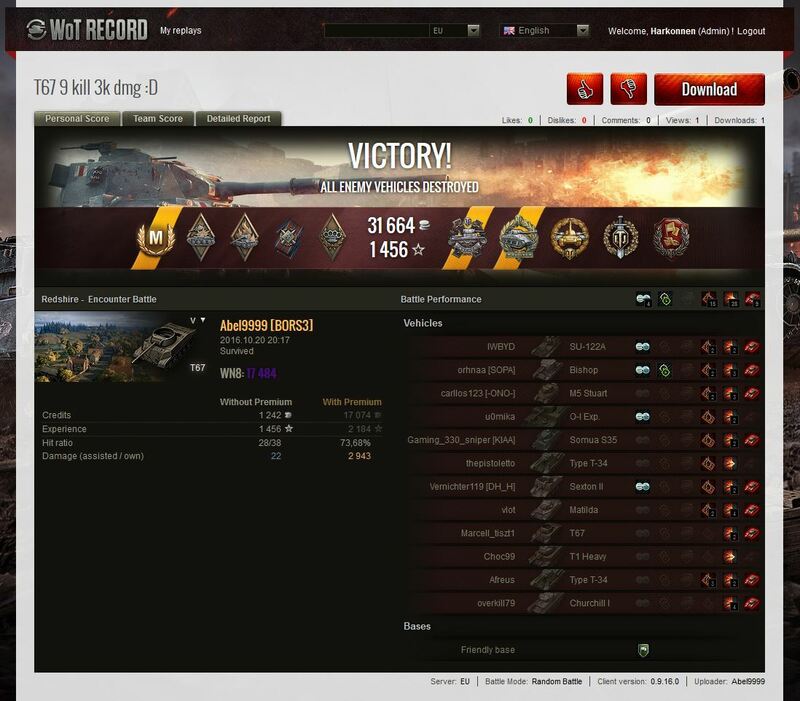 Remember, to upload your battle replays go to wot-record.com and don’t forget to share with your friends.